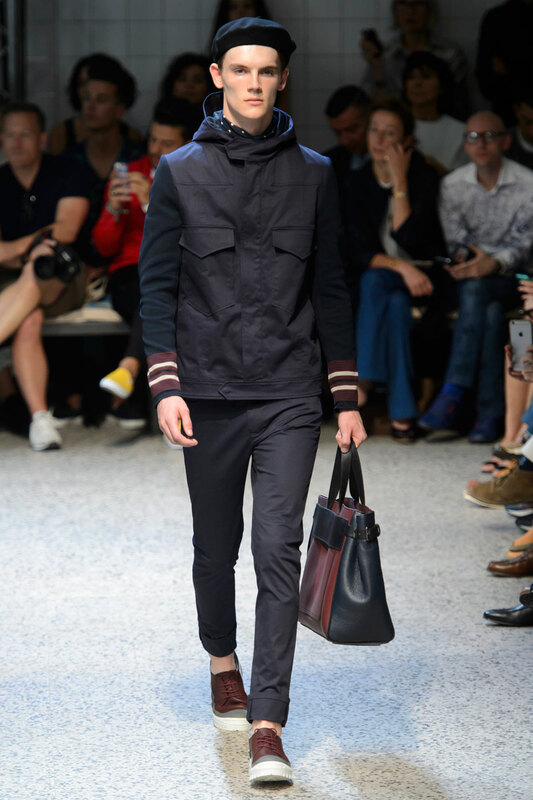 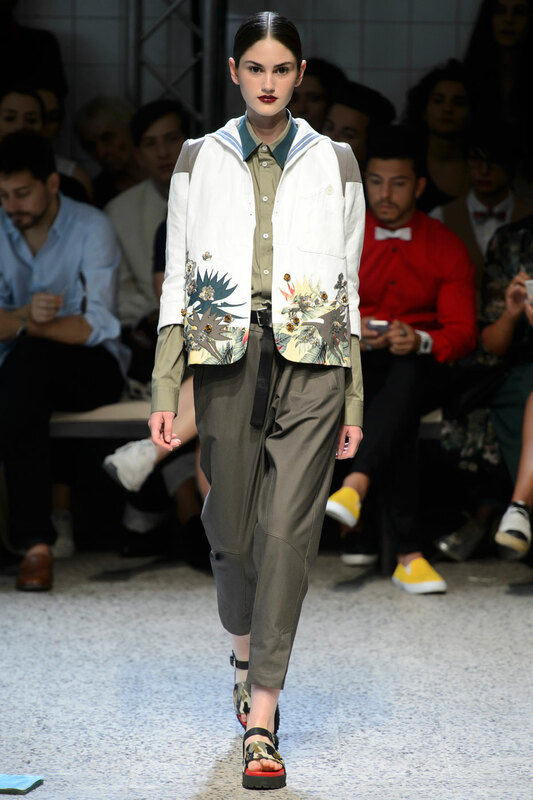 Inspired by the chic delicacy of nature , it was a presentation of genius that loudly screamed modern martime chic. 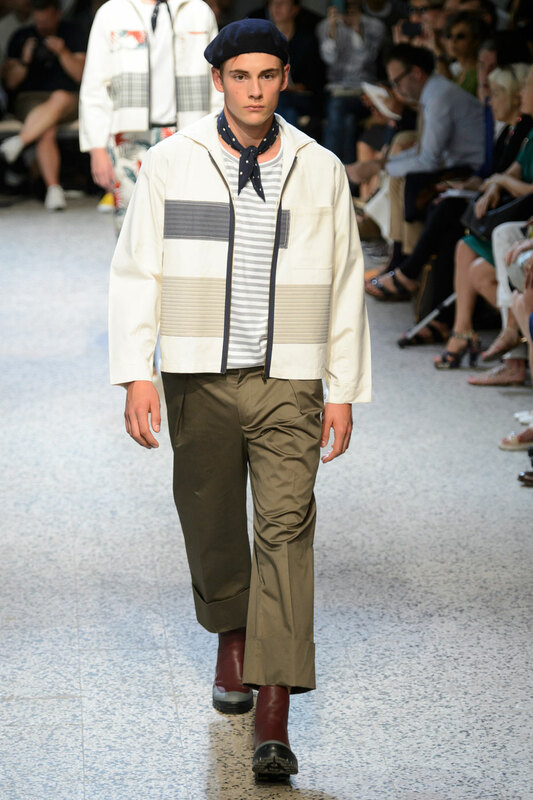 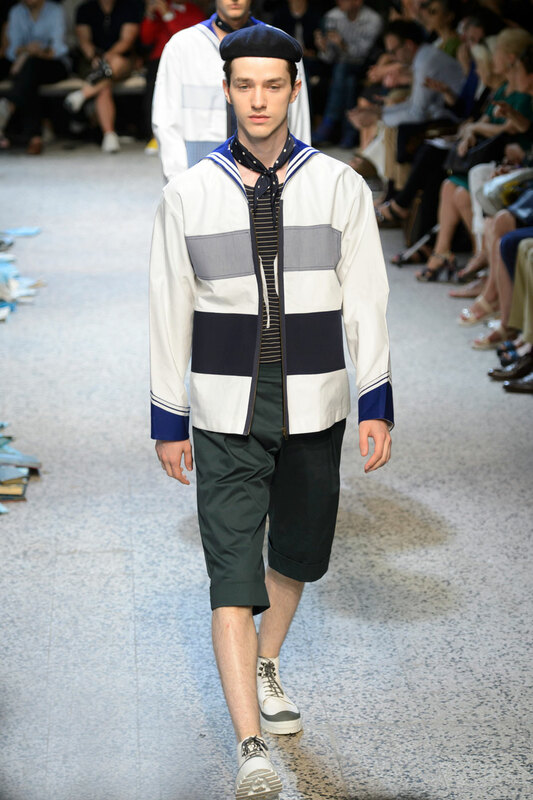 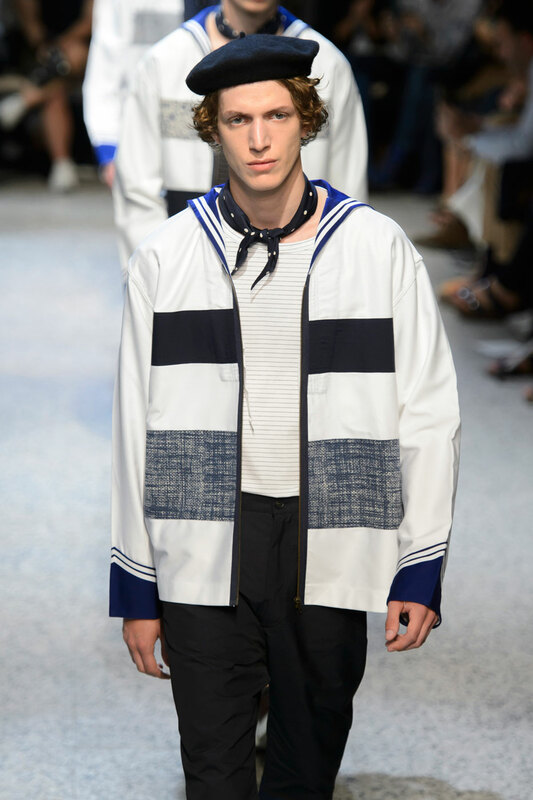 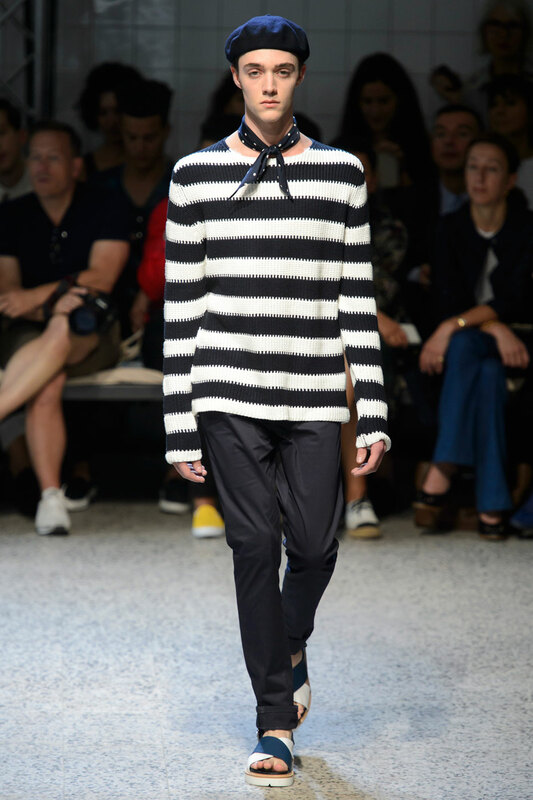 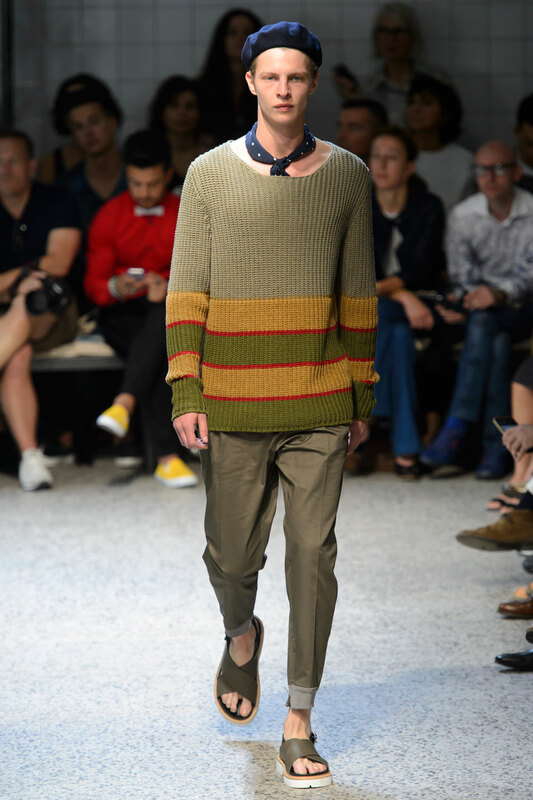 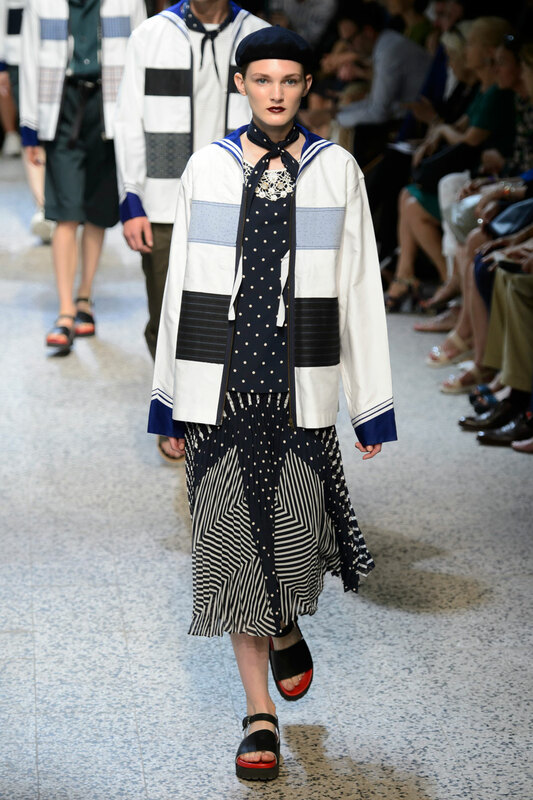 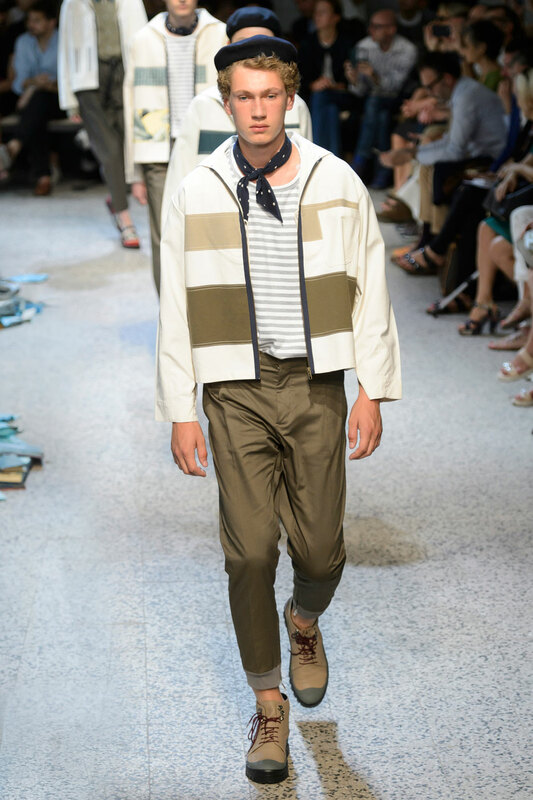 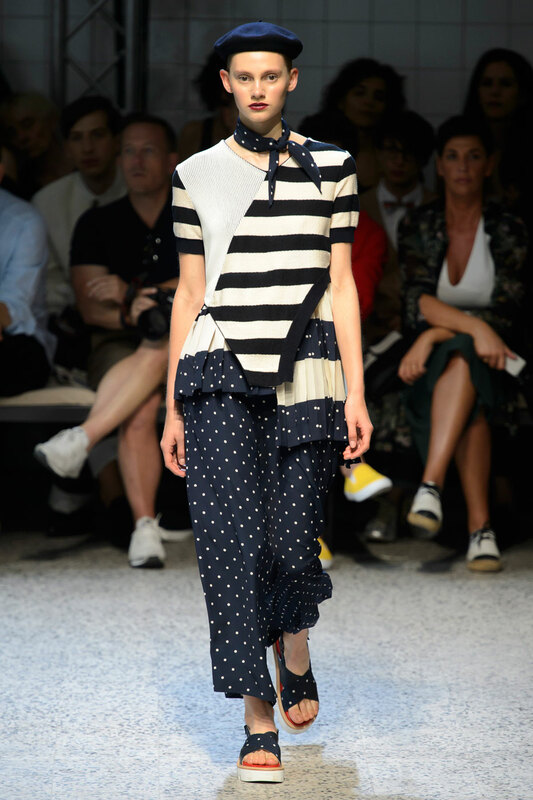 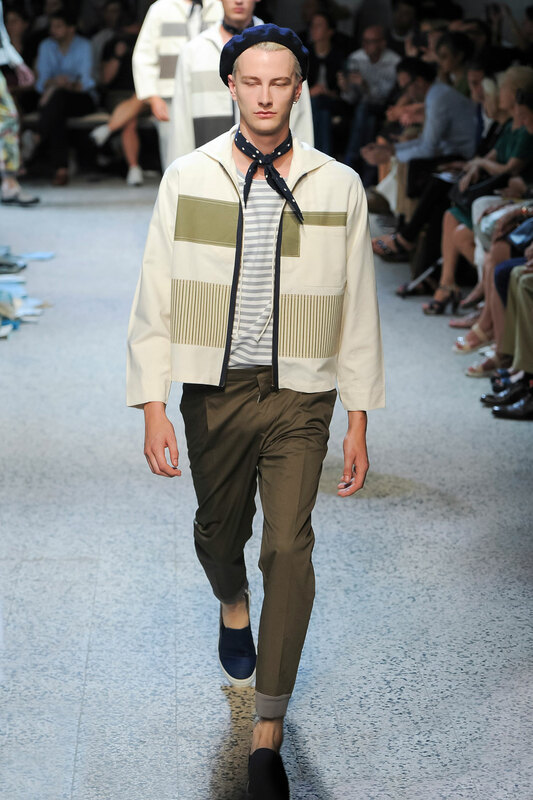 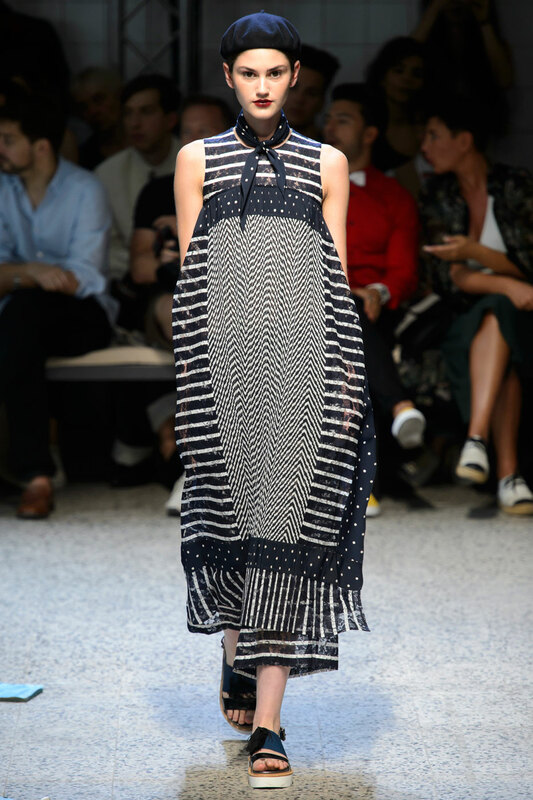 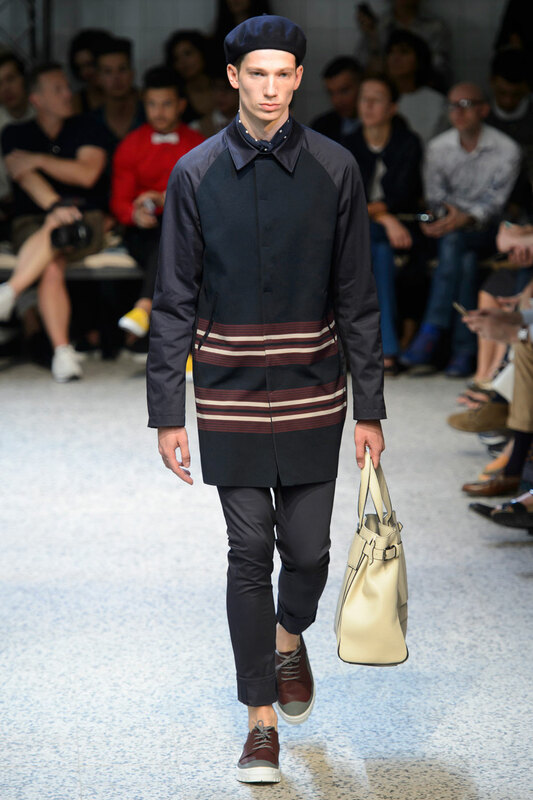 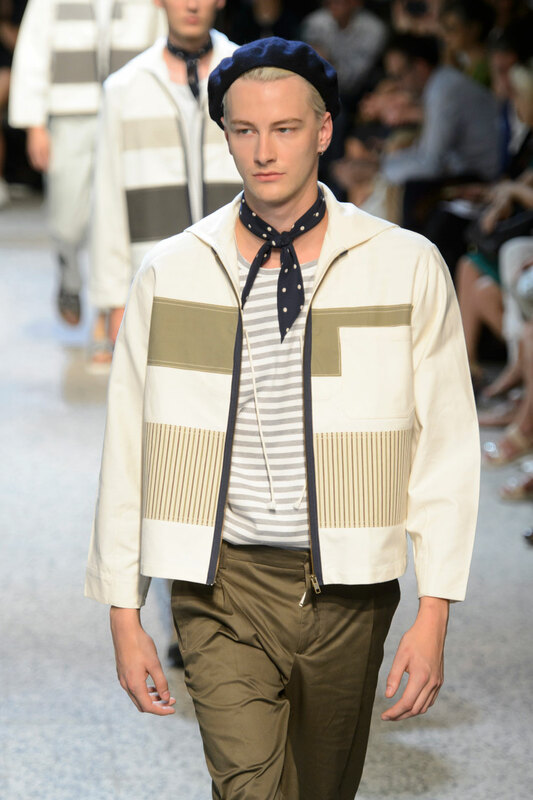 Modern martime chic inspired wool berets and traditional blue and white striped tees flooded the catwalk , synonymous with the iconic image of a stylish sailor. 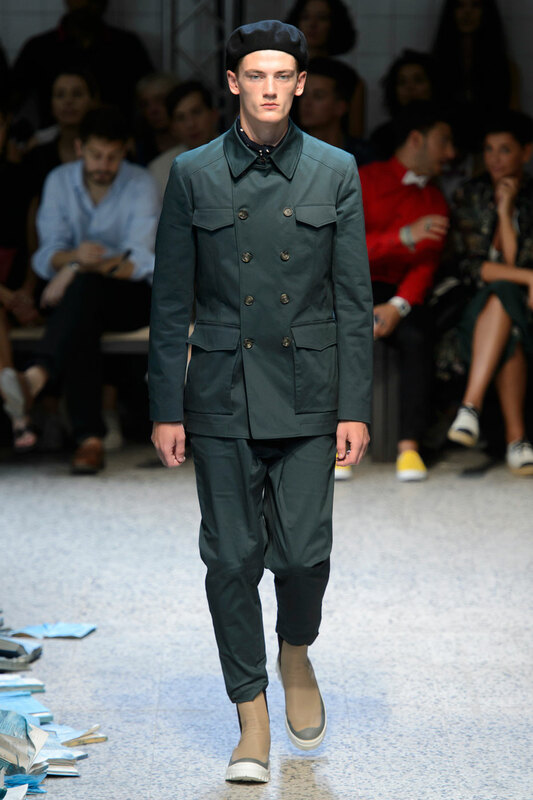 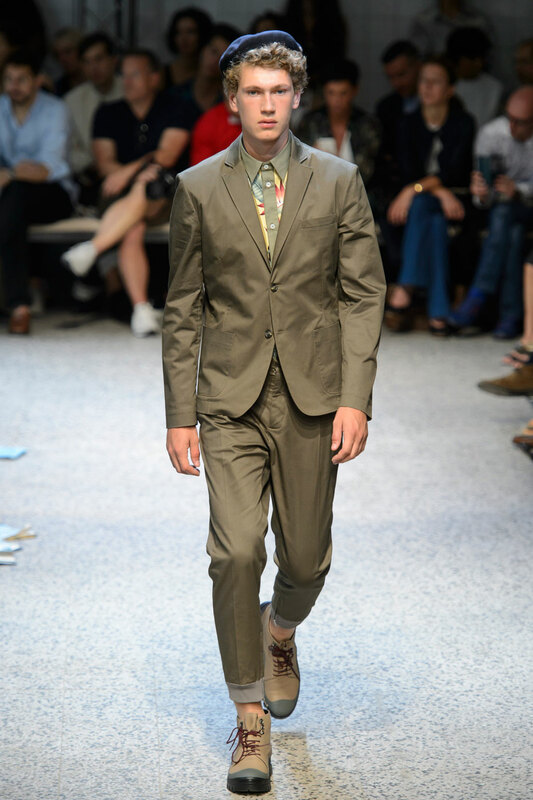 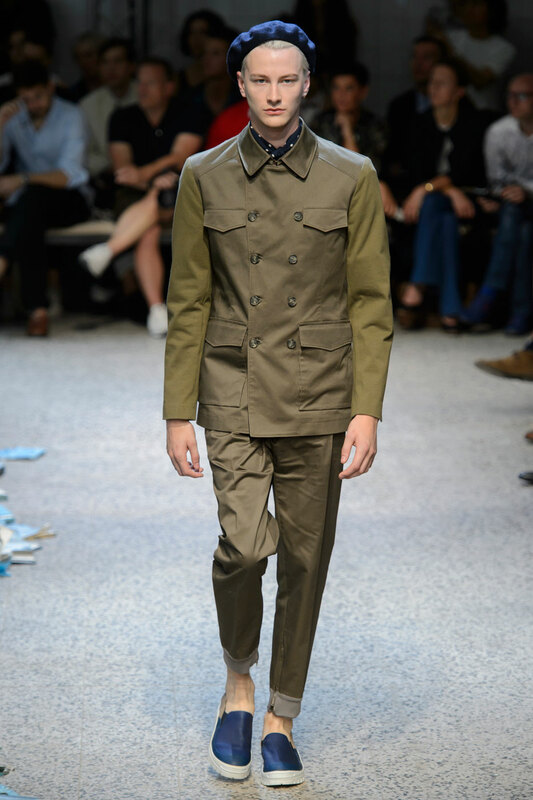 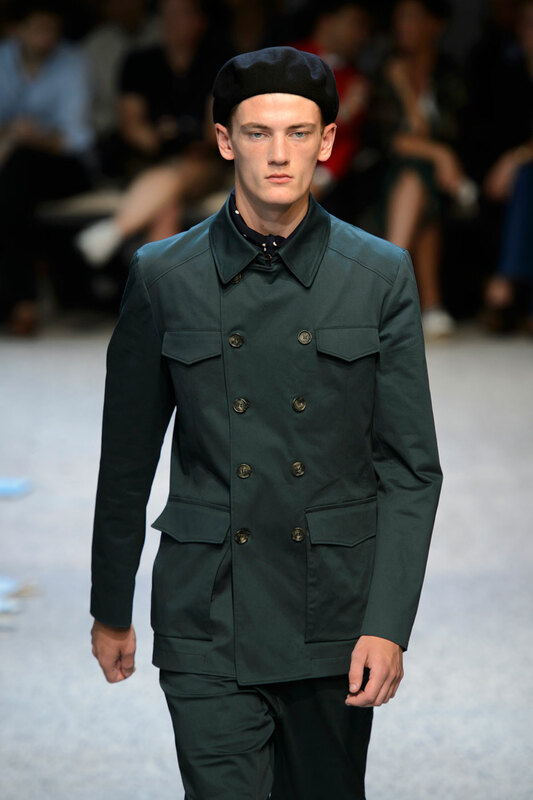 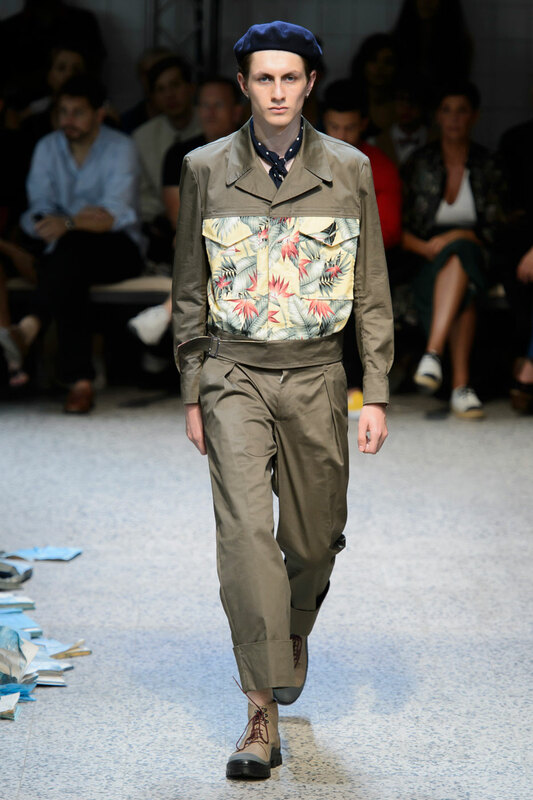 Mr Marras ‘the living legend of fashion’ has revealed that the inspiration behind the iconic image is rooted in his personal origins- Sardinia- which taught him to be humble and narrate the union between the proletariat and the bourgeoisie and men and women. 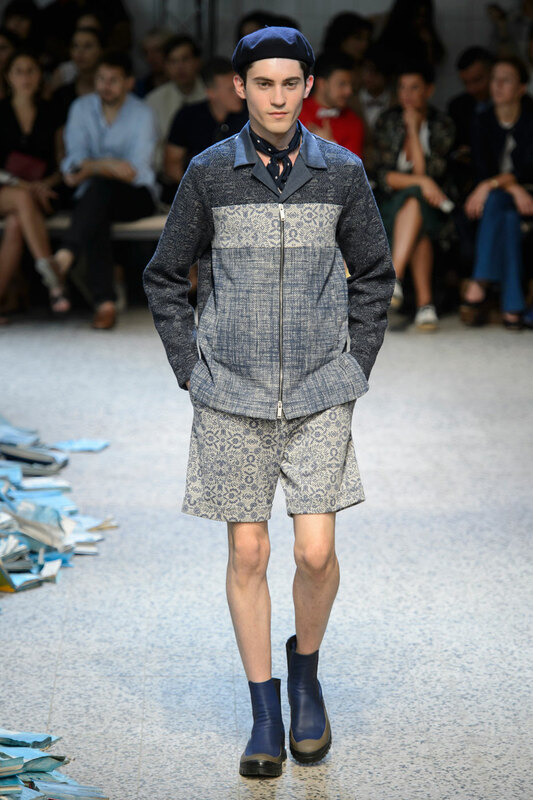 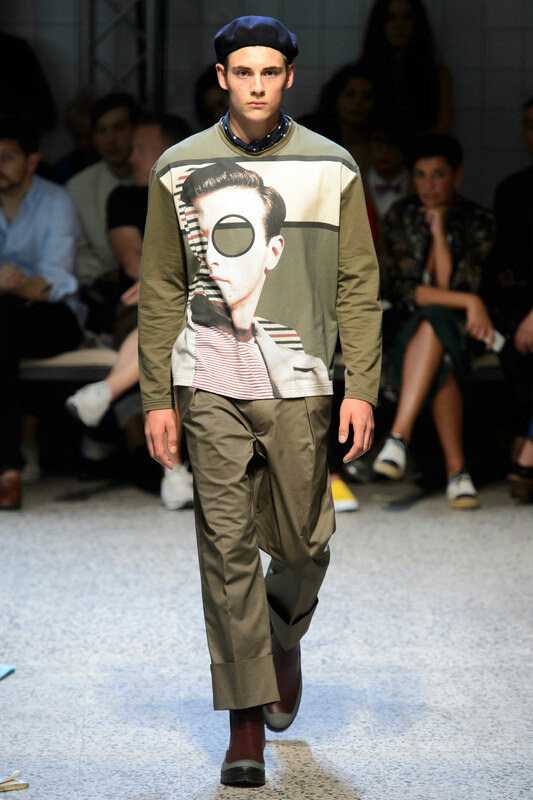 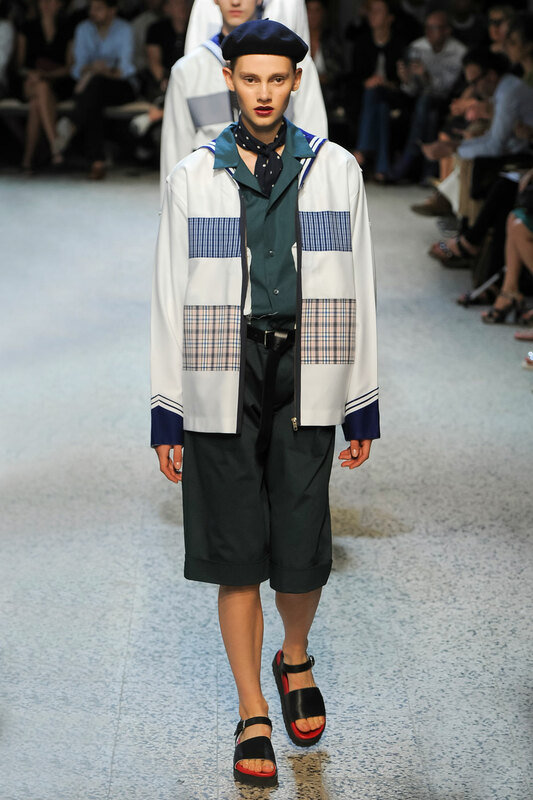 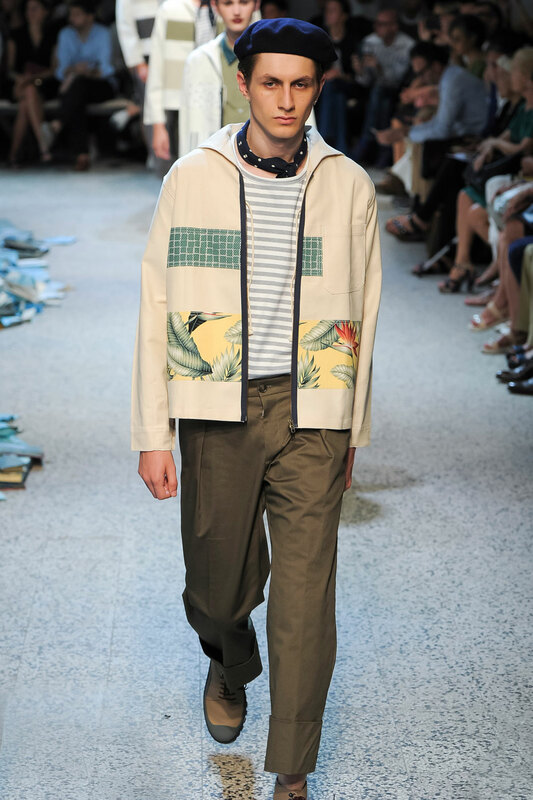 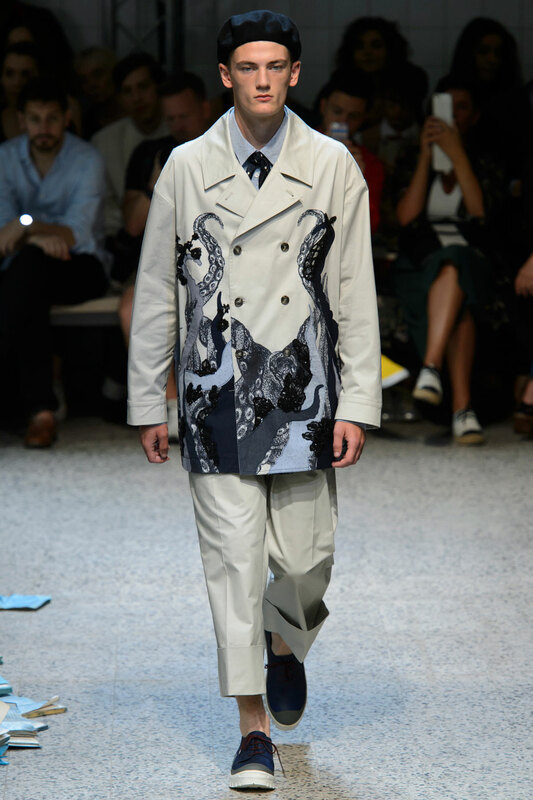 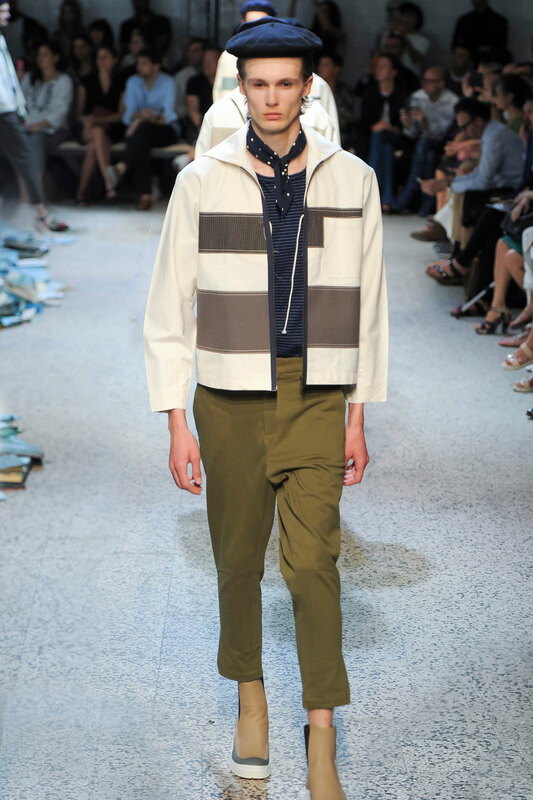 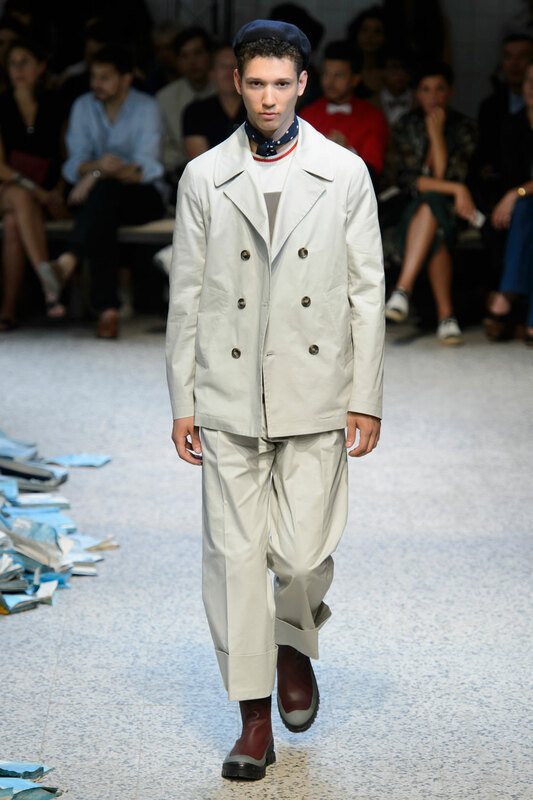 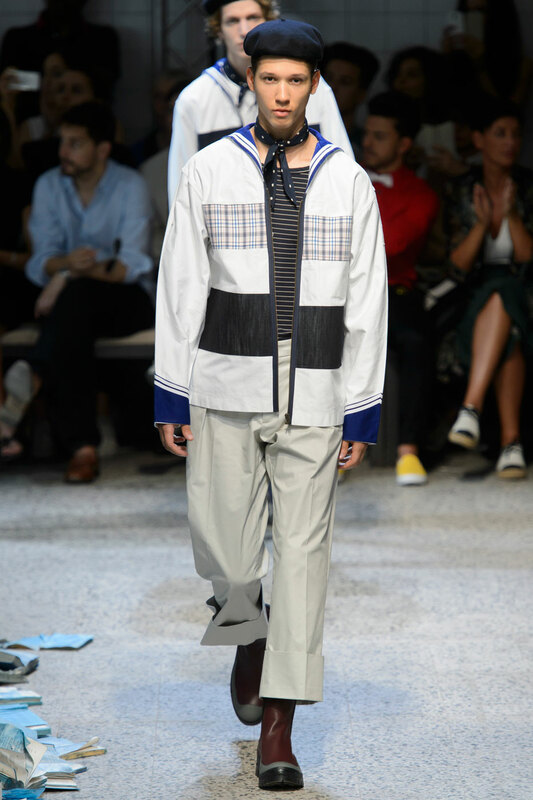 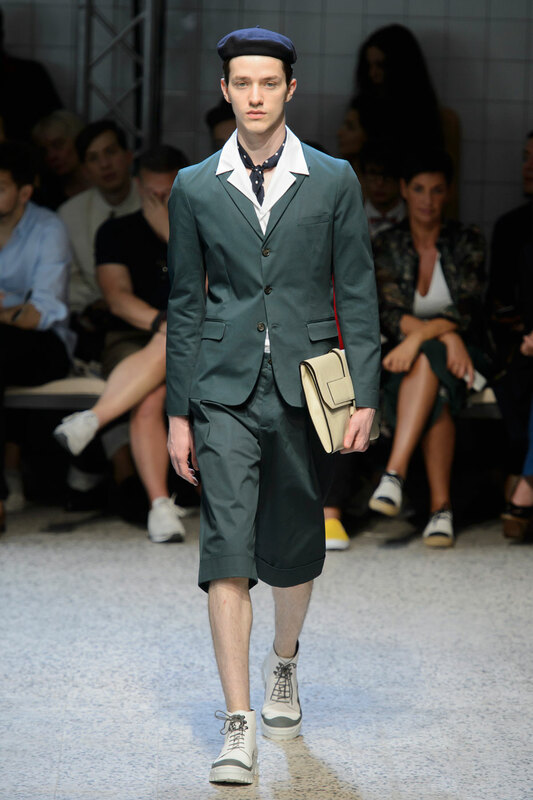 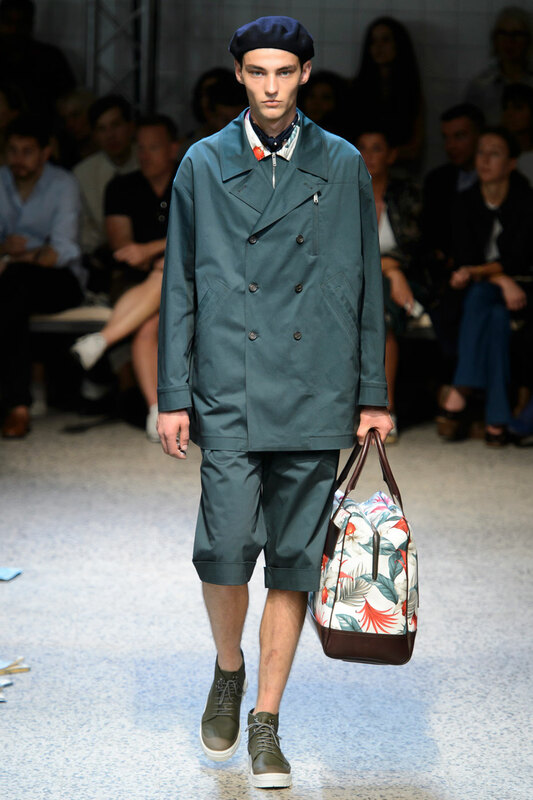 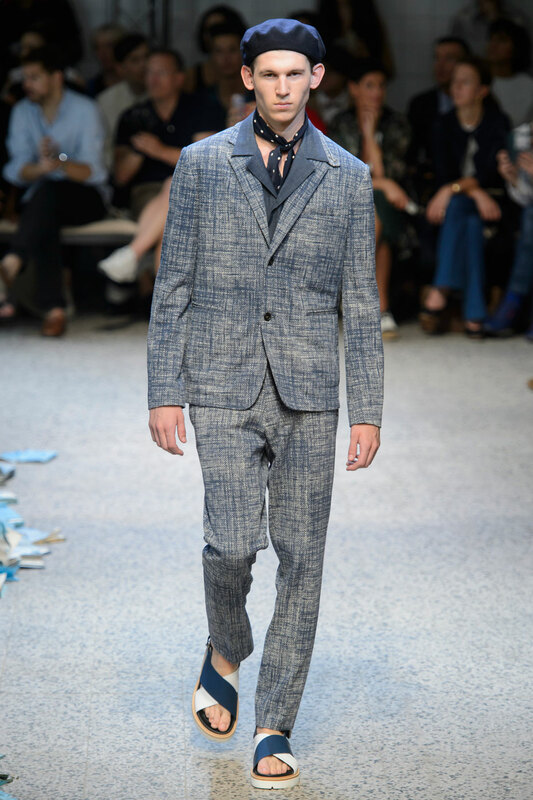 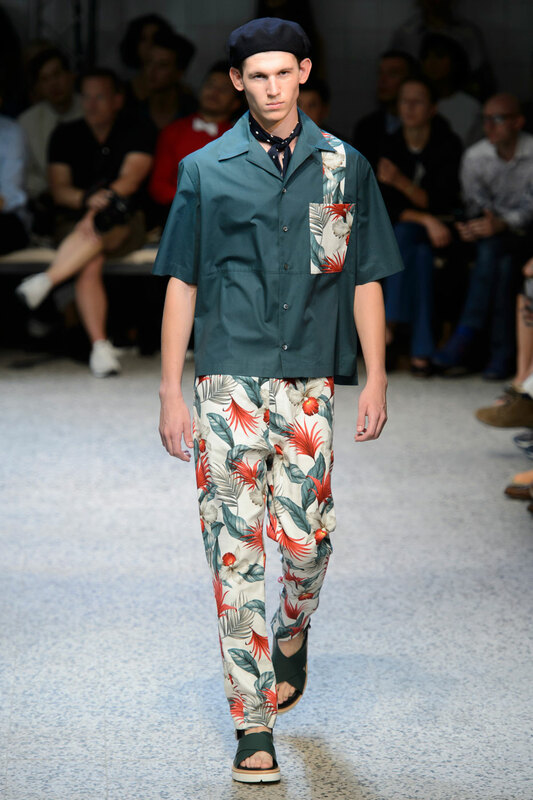 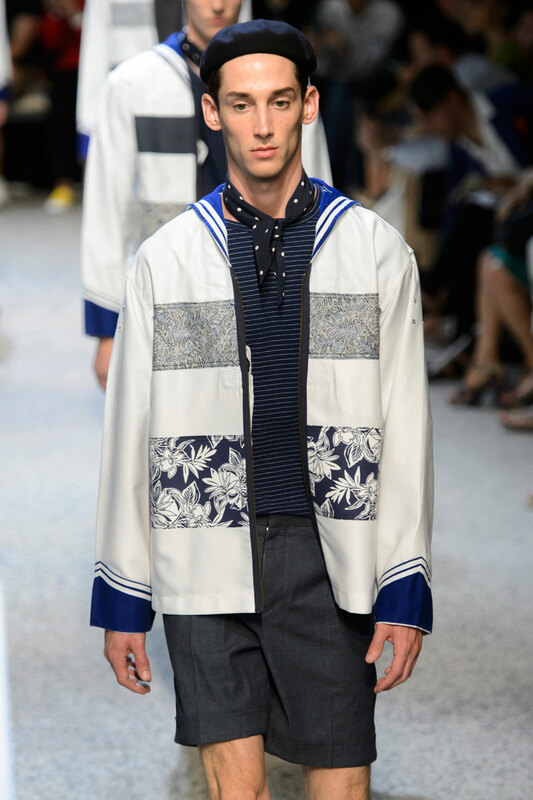 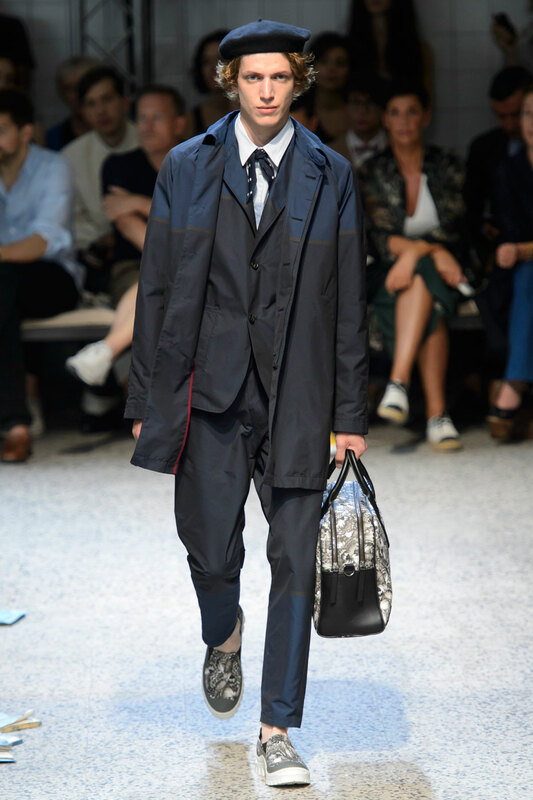 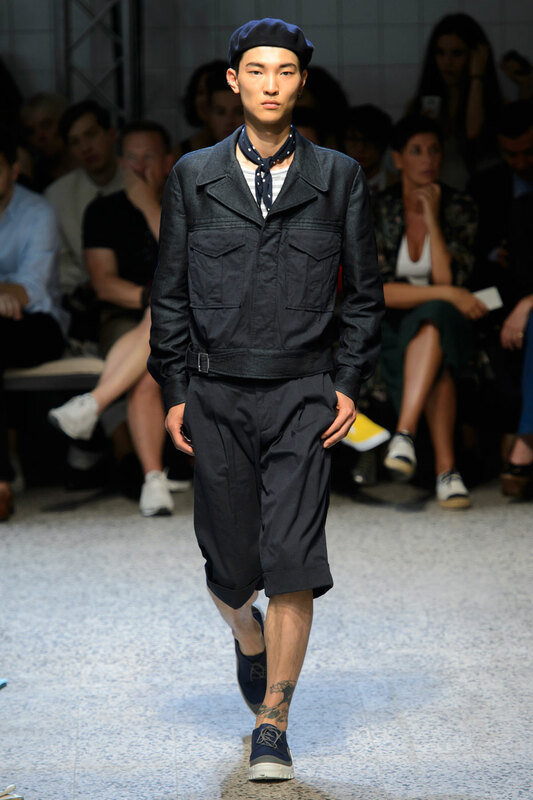 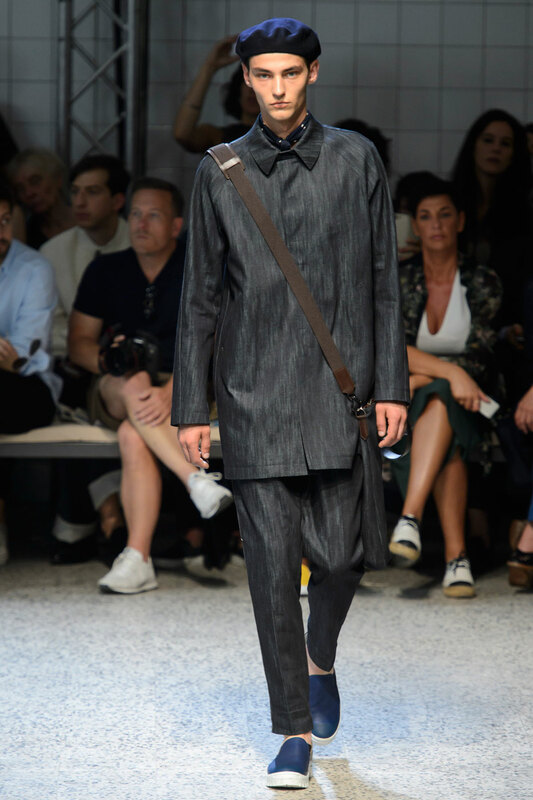 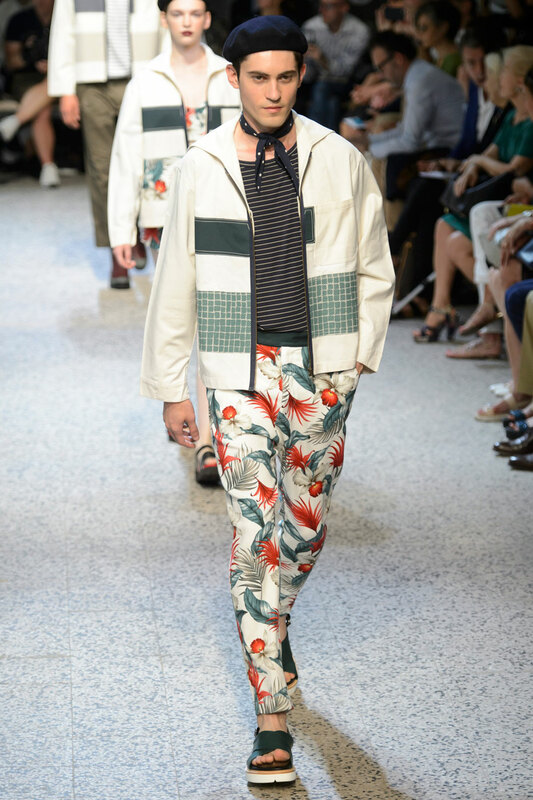 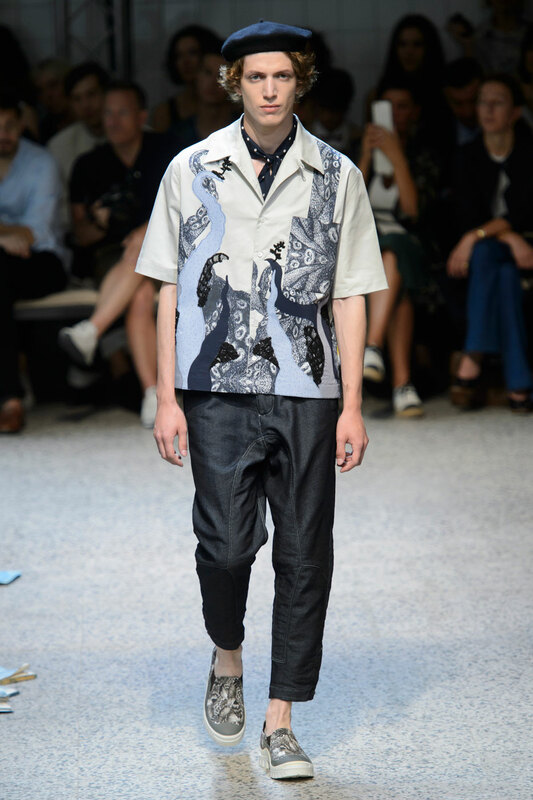 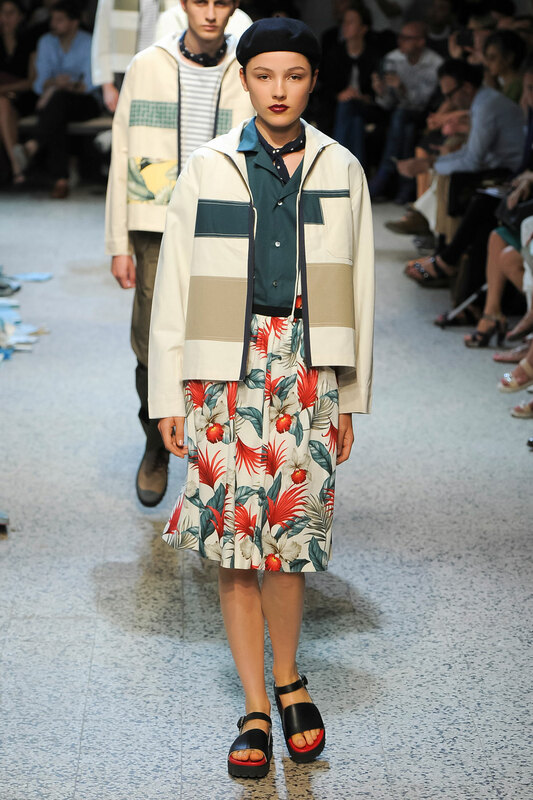 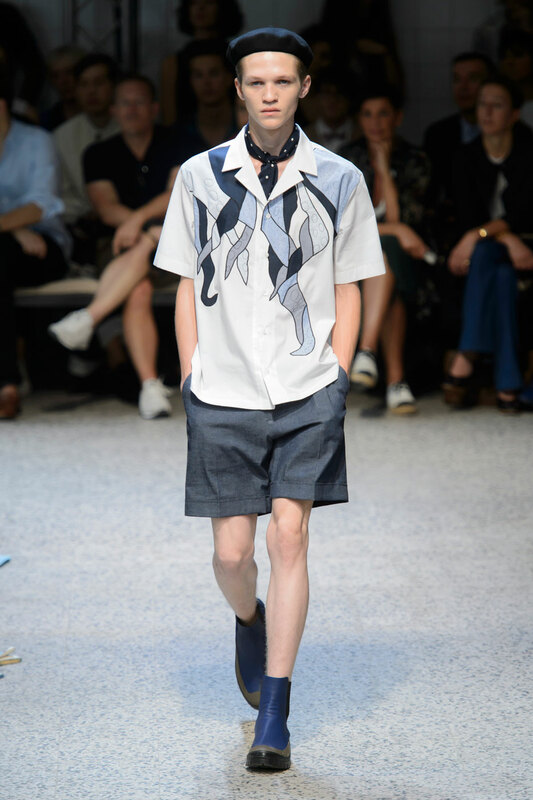 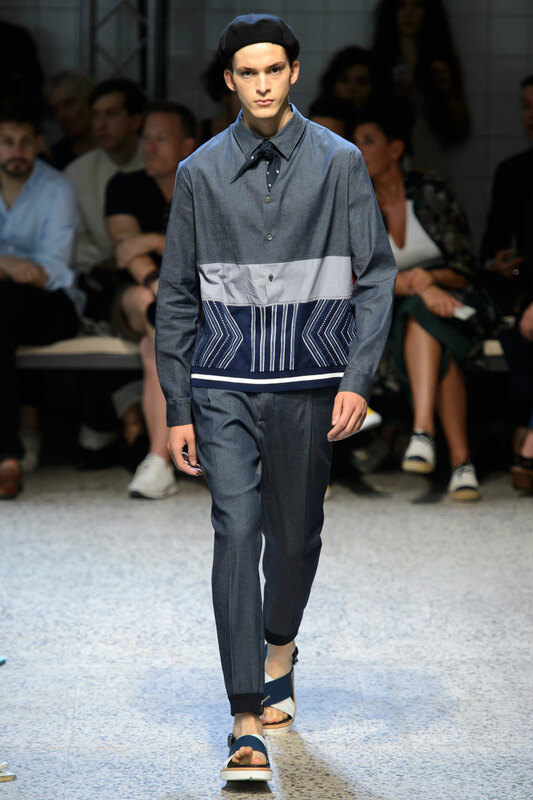 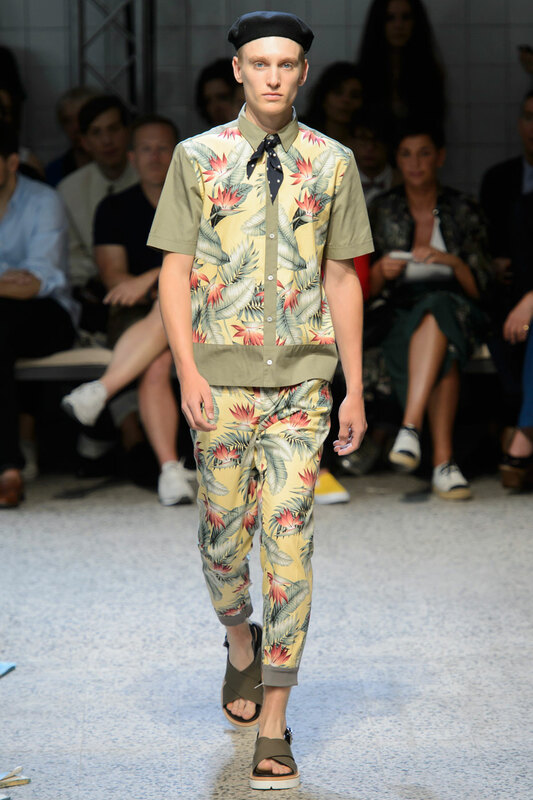 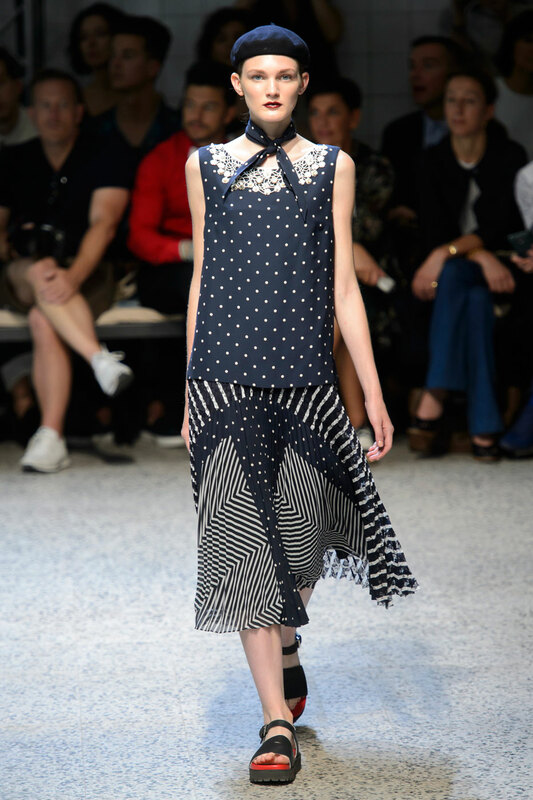 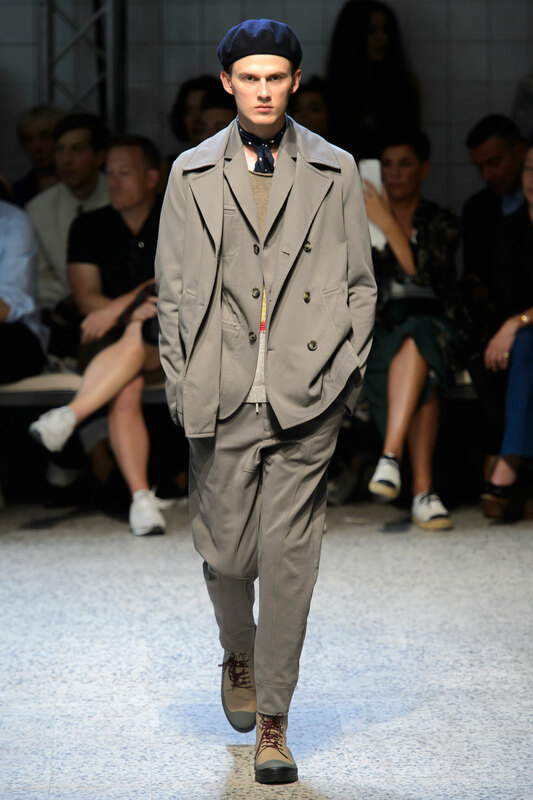 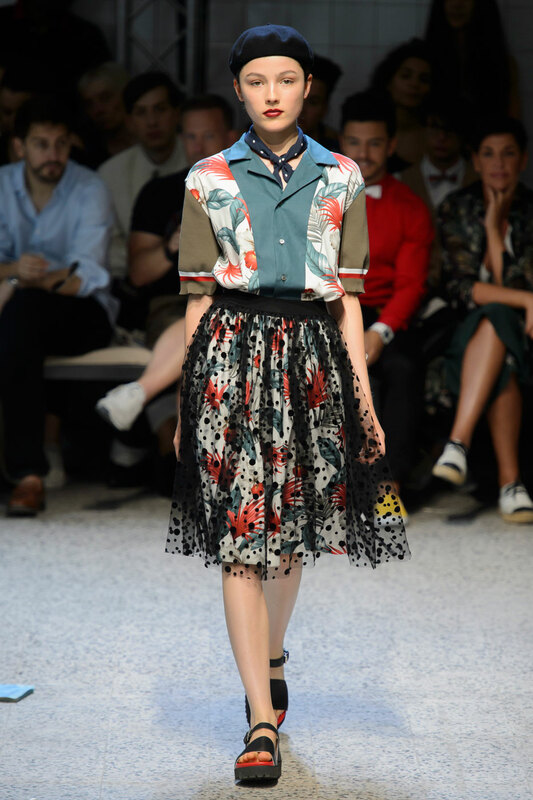 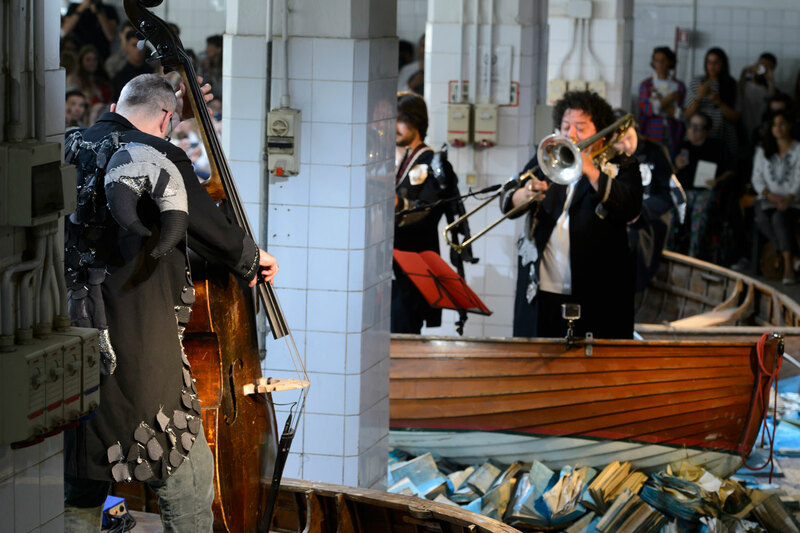 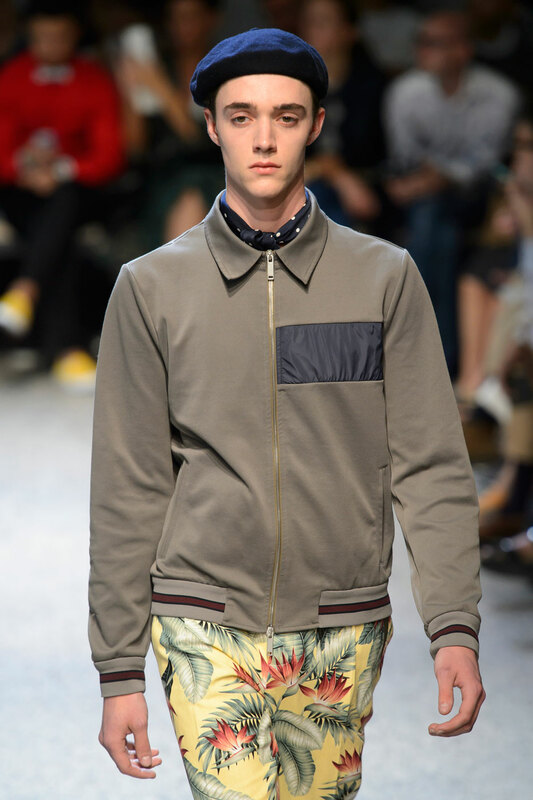 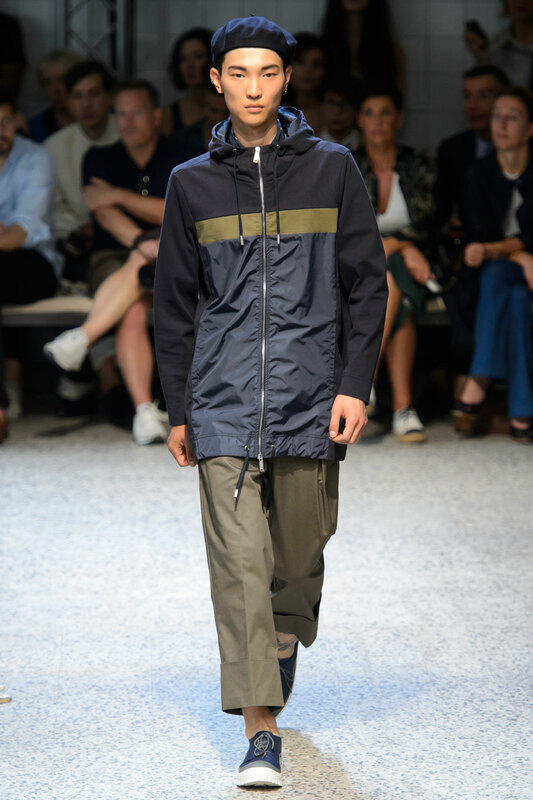 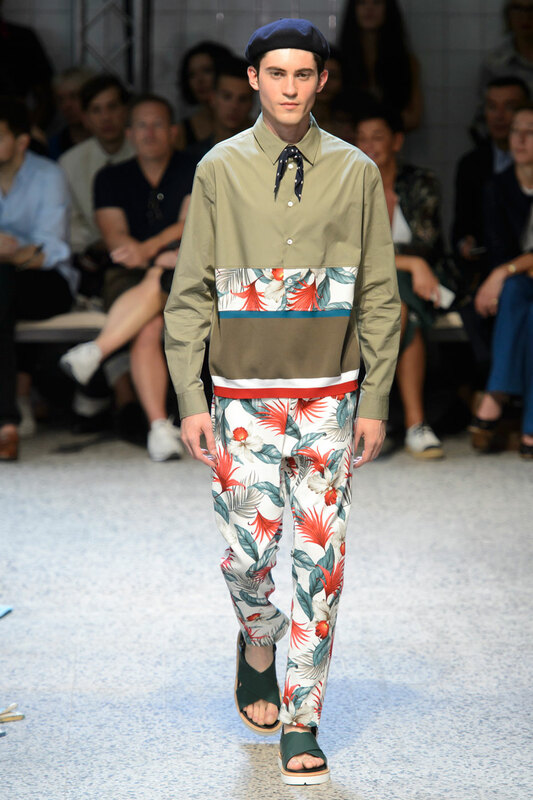 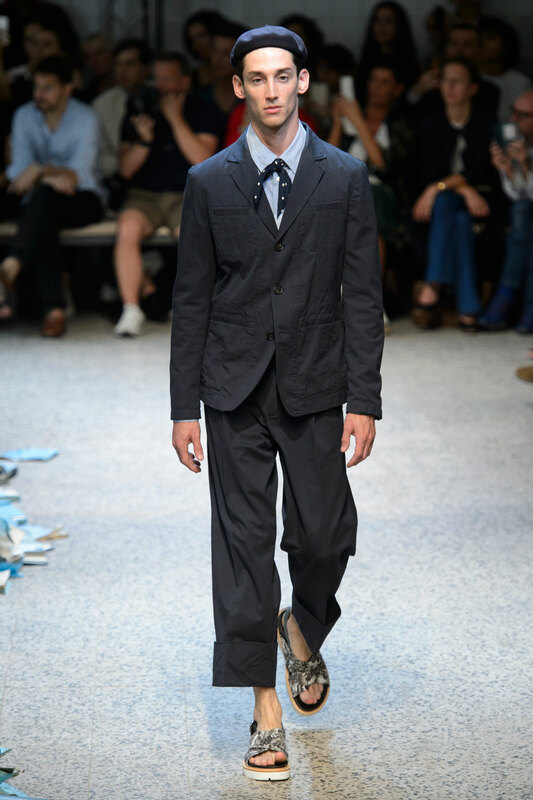 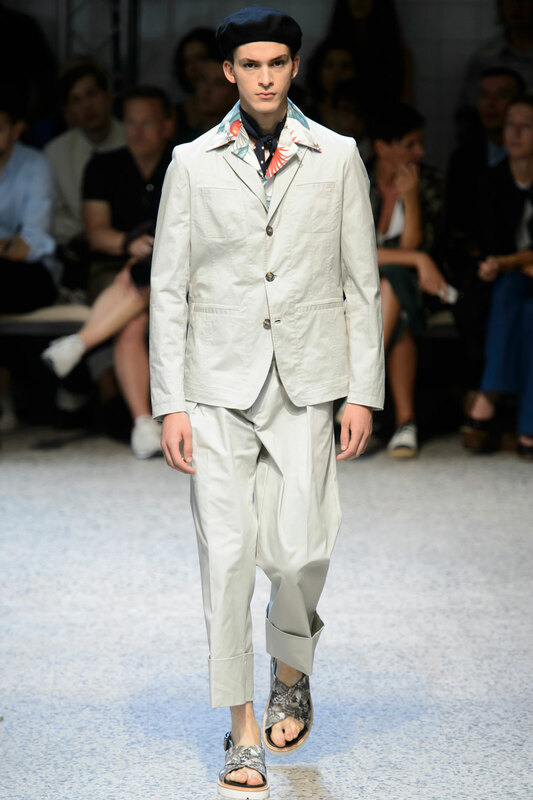 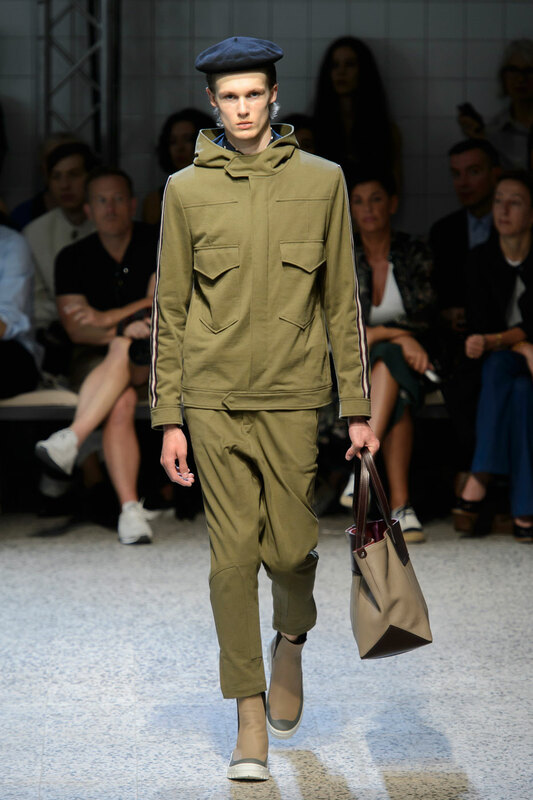 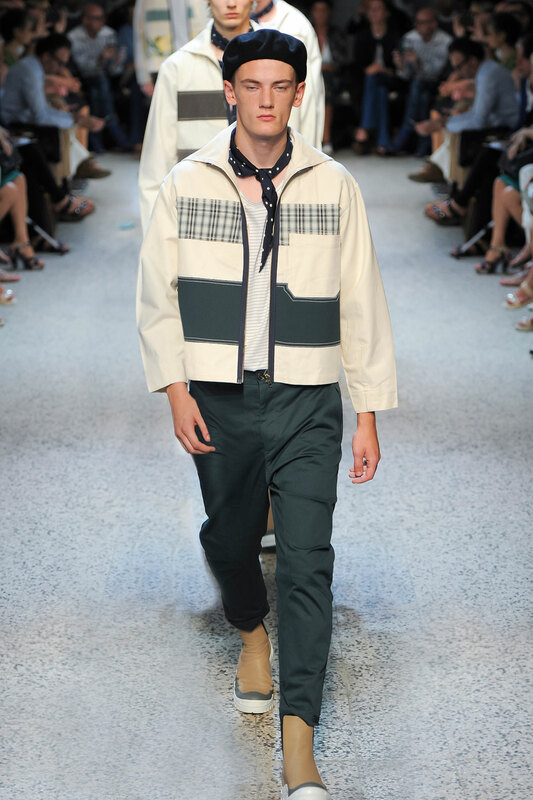 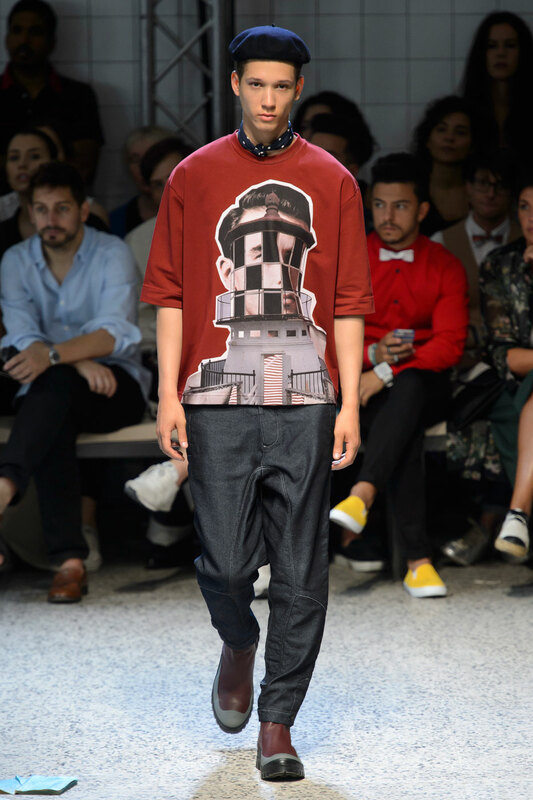 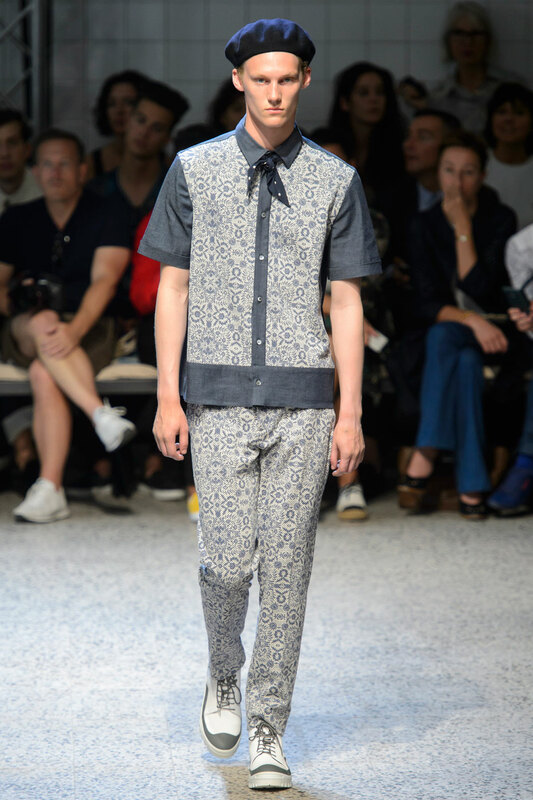 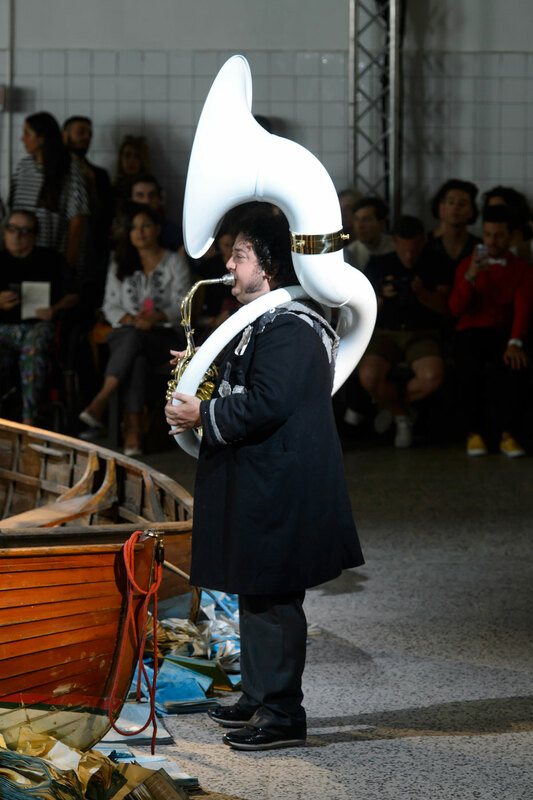 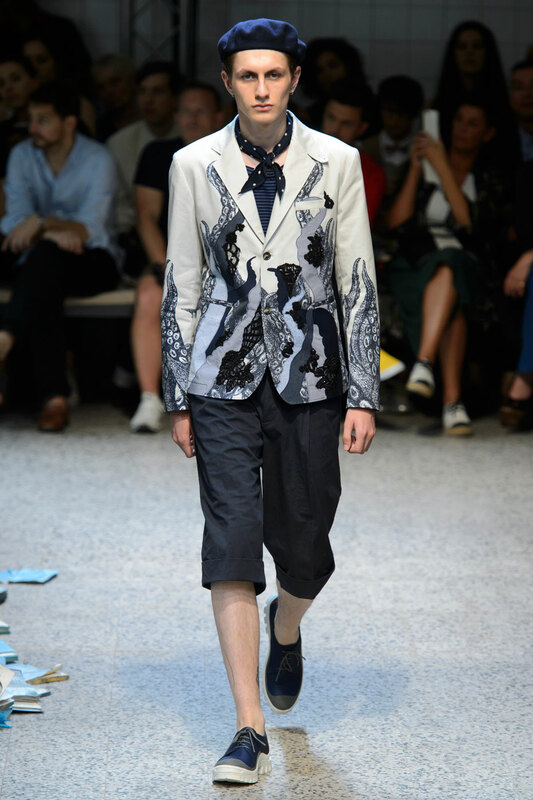 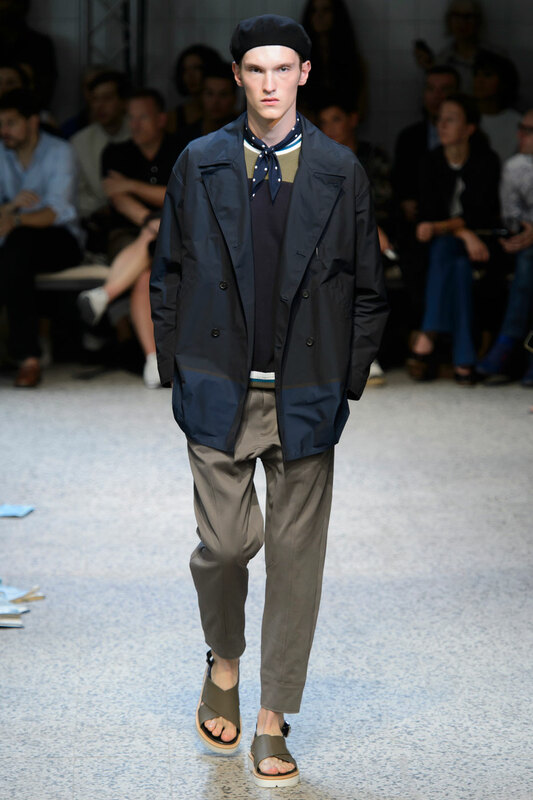 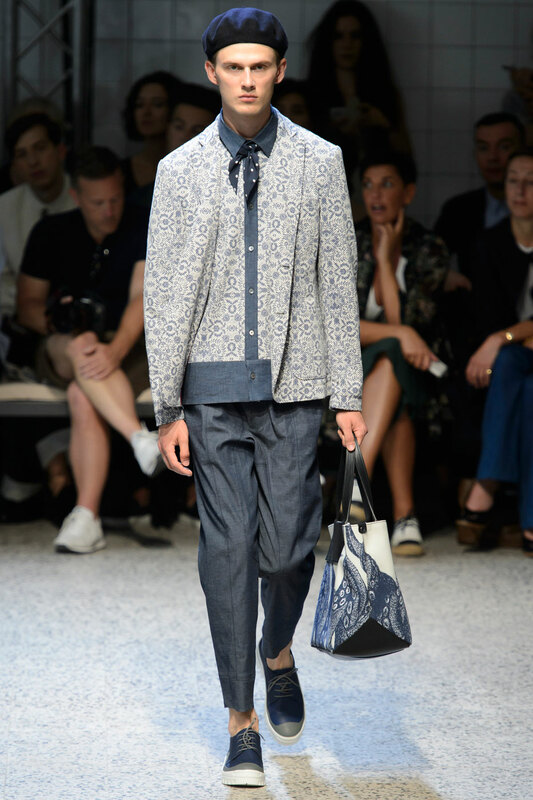 Unlike his SS15 collection the theme moves beyond sports luxe and narrates a simple , at times chaotic but ultimately romantic love story that reinstates Marras’s role as narrator. 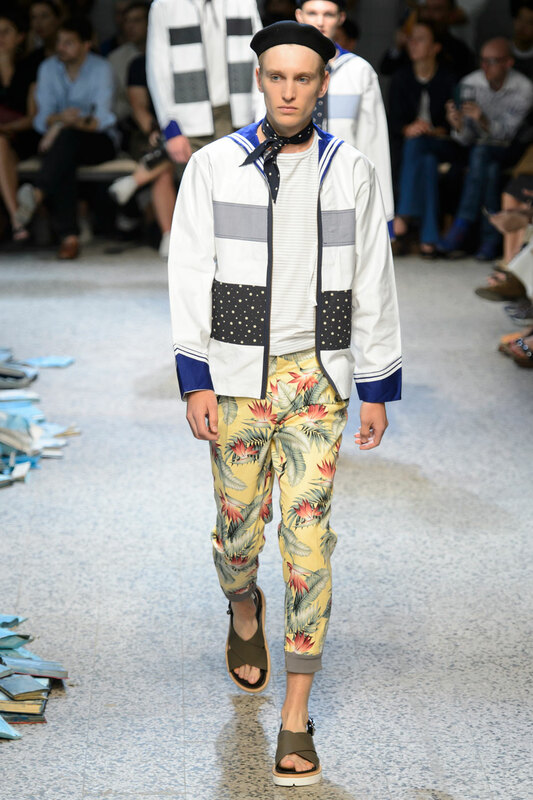 Silhouettes are square but boxy , layered over chunky blue long shorts , creating chaotic proportions that narrate the intricacies of an unrequited love affair at sea.